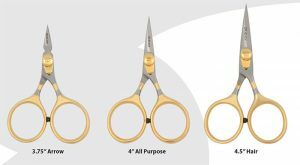 Dr. Slick has announced their upcoming product releases for 2019, including a set of three new fly tier’s Razor Scissors and heavy duty anglers’ pliers with replaceable jaws and cutters. A set of three new fly tier’s Razor Scissors and heavy duty anglers’ pliers with replaceable jaws and cutters highlight the 2019 products from Dr. Slick Instruments for Anglers. The addition of new Squall pliers and Razor scissors brings to more than 350 the number of fly tying and fly fishing tools and accessories available from Dr. Slick. Razor scissors are made from 440 grade steel. Fitted with a tension screw, they may be loosened or tightened as materials warrant. “The extremely sharp scissors were engineered to cut through all natural and synthetic fly tiers’ materials like butter,” according to Dr. Slick president and CEO, Steve Fournier. 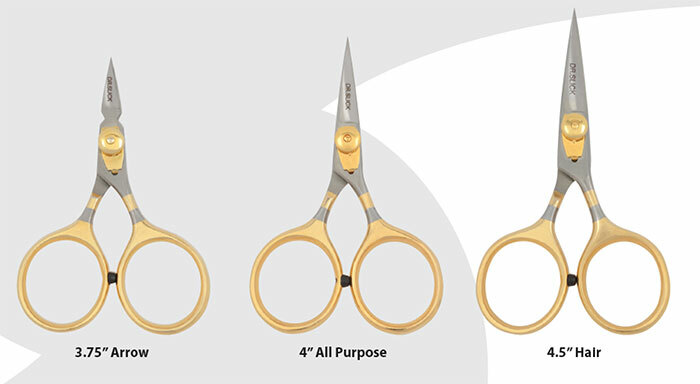 The three models of scissors are each priced at $34. The Dr. Slick 7.5-inch, 5.1-ounce Squall Pliers have anvil tungsten side cutters capable of cutting new-age braid, all synthetic lines and up to 60-pound wire. Jaws have a half smooth, half striated design for gripping hooks securely. They are made from heat treated SUS420 J2 coated stainless steel. The pliers’ frame is constructed from 6061-T6 anodized aircraft grade aluminum to withstand salt water. Squall Pliers are fitted with non-slip rubber grips and a self-opening spring. They come with coiled bungee lanyard, molded clip-on swivel holster and replacement cutters, jaws and hex key. Dr. Slick Squall Pliers are priced at $65.